Hootsuite is the Swiss Army knife of Social Media Management. In one comprehensive dashboard, you can schedule posts, engage and communicate with prospects and clients, listen to competitors and influencers and cooperate with collaborators and team members. How can you efficiently engage with strong prospects in social media? 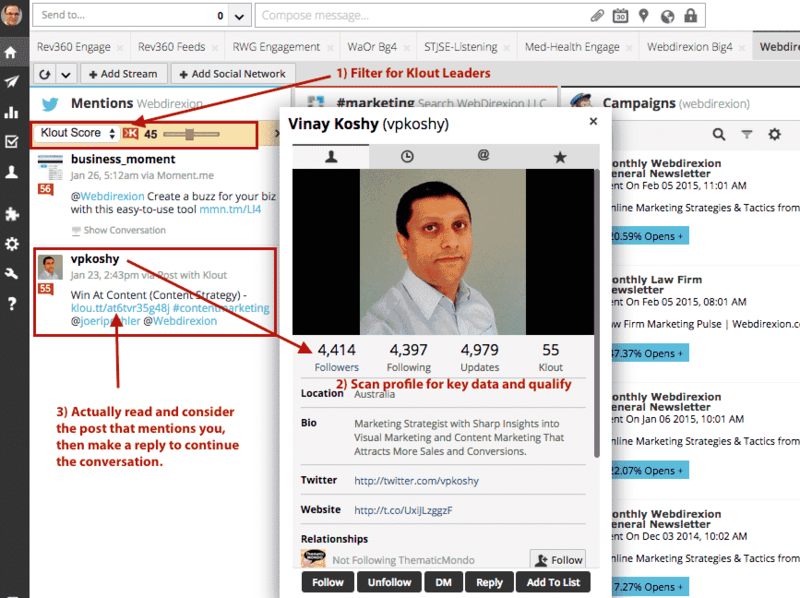 We have a “Klout tactic” for that along with some great insights into content strategy and closing the connection/engagement loop using Hootsuite.